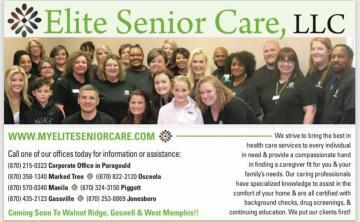 Elite Senior Care LLC strives to bring the best in health care services to every individual in need. We provide a compassionate hand in finding a caregiver fit for you and your family's needs. We provide caring professionals with specialized knowledge to assist in the comfort of your home. Aides are all certified with background checks, drug screenings, and continuing education. It is our goal to make sure our clients are put first.